WDS-35 3-section, 2-wheel drawbar – is adaptable to 16’ 0″  21’ 0″ coverage. Designed to match up with field cultivators, disc harrows and other field implements which the harrow will be pulled behind to finish the seed bed. This unit comes equipped with a 13’ 5” pole for easier turning, especially in tandem operations. Uses 5’ 0″ through 7’ 0″ sections. 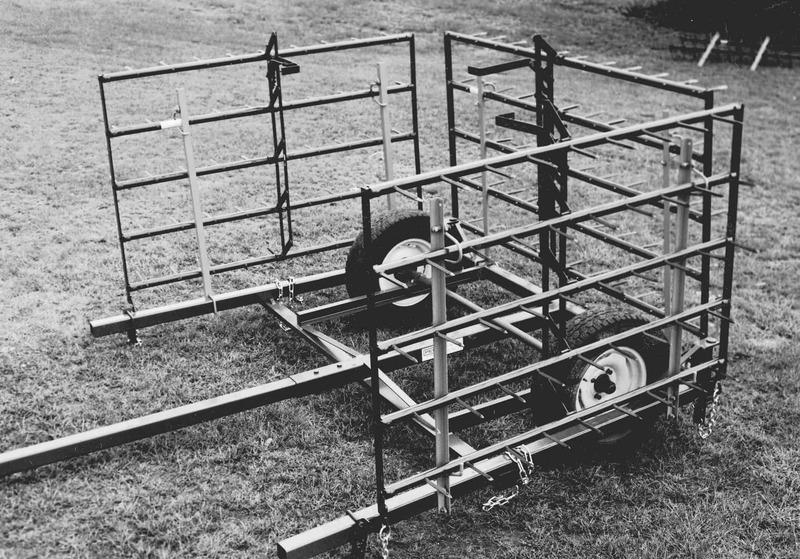 WDS-45 – Four-Section, Two-Wheel Drawbar. The center boom on a WDS-45 is adjustable to fit 5’ 0″ to 6’ 0″ open or closed end sections. The center boom on a WDS-47is adjustable to fit 6’6” to 7’ 0″ open or closed end sections. The Pole Extension is designed as an addition to your WDS-45 or WDS-47 cart for easier turning in the field when using these units in tandem with another tool for an improved seed bed and less fuel consuming operations.